With a name like "Orange Blossom Jamboree", you might be inclined to think that this open air festival is devoted to country music - but you'd be wrong. 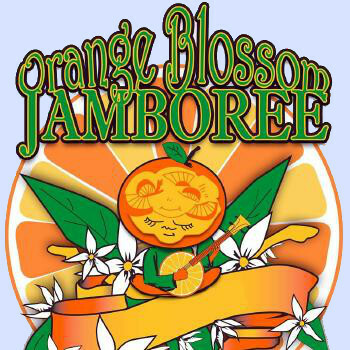 Orange Blossom Jamboree - "OBJ" for short - is one of Florida's premier music festivals, with four days of solid music ... all from the best home grown Florida bands. From rock to jazz to reggae, funk and bluegrass - there's a little bit of everything here. Complete with pre-event party on Thursday before the main festival kicks off. Held deep in the woods of the Sertoma Ranch near Brooksville, Florida, the lineup generally consists of over 50 groups playing on three different stages. Although attendees are welcome to come for any single day, many elect to camp on the grounds for the duration of the festival. Campsites are close in with the entertainment venues. And it's a perfect environment for campfires, impromptu jams, drum circles, and an all around good time. Tent and RV campers are welcome. But be sure to reserve your spot early on ... expecially if you're looking for an RV spot with electric - those generally sell out the day reservations open. When you look at a map of the festival grounds, you can see that the camping area is in the midst of the entertainment stages. It's a very intimate setting where it only takes a few minutes to walk from one venue to the next. Attendees may find a stroll through the camping areas to be an interesting part of the festival experience, since many of the campers name and decorate their campsites to compete in the "Coolest Campsite Contest". And the attendees in general tend to get into the spirit of the party ... and let their inner "hippie" hang out. You are allowed to bring your own food and non-alcoholic beverages to the festival. But there are plenty of choices for meals at the event. Beer is sold on site. Arts and crafts vendors are also available for your shopping pleasure. Kids are welcome here, and small children are admitted free of charge. Well behaved dogs are also welcome. Note: The dates of annual events and festivals are subject to change from year to year. Before planning your trip, be sure to check the links above for the actual dates, times, and schedule of activities.